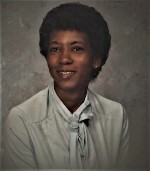 Geraldine Bryant, nee Rouse, 72, of Belleville, IL, born September 28, 1946, in Lincolnton, GA, died, Saturday, January 26, 2019, at her residence. She was preceded in death by her husband of 42 years, Lyle Bryant, whom she married on February 22, 1972, and who died on February 24, 2014; her parents, Joe and Maria, nee Blackwell, Rouse; and 2 sisters and 5 brothers. Memorials may be made to the Belleville Area Humane Society, Belleville, IL. Condolences may be expressed to the family online at www.rennerfh.com. Visitation: Friends may visit from 4 to 8 p.m. Friday, February 1, 2019, and from 9 to 10 a.m. Saturday, February 2, 2019, at George Renner & Sons Funeral Home, Belleville, IL. Funeral: Funeral services will be held at 10 a.m. Saturday, February 2, 2019, at George Renner & Sons Funeral Home, Belleville, IL. Michelle, Scott and Carmen, My sincere condolence on the loss of your mom. I worked with your mom when she worked in the recovery room at St. Elizabeth for many years. She was a good nurse and such a gentle lady. Thank you for sharing her with the family at St. Elizabeth's. Scott, Michelle and Carmen very sorry to Hear about your mother. I moved to Arkansas in June, got txt from her in Jan. Call me if I can do anything,she will be missed . Michelle, Scott and Carmen, My sincere condolence on the loss of your mom. I worked with your mom on telemetry, in recovery room and in the stress lab at St. Elizabeth for many years. We were both nurses sometimes just trying to make it through the day. She was a good nurse and nice person. She was so proud of her children. Her face lit up when she spoke of you. Know that she definitely left her mark on the world. She touched many lives and left this world a better place. So sorry for your loss. Spent many nights bowling with Skip and Dean. May God bless you and give you strength, Dean is with her love again! Michelle and family, I worked many evenings with your mom at St Elizabeths in Belleville. She was a good person and very good nurse. It was many years ago, but I still remember her talking about Michelle. I have a Michelle too, so it gave us one more thing in common--besides being evening nurses. Sincere sympathy to all of your family.